Cole Day isn't looking forward to breakfast. Mum had made "Prune Surprise", and even Jeff the dog can only eat one helping of that before things start to get windy. But not all the gusts are coming from the poor pooch's tum. 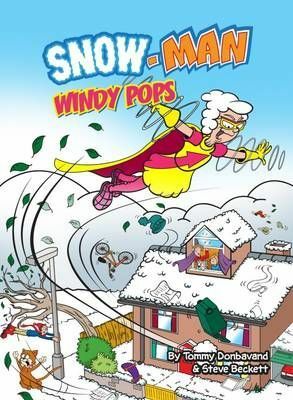 The hurricane hag herself, Gail Force, has blown into town, and she's using a new device called the Superfan to raid homes, shops and - eventually - the bank! It's time for SNOW-MAN and his team to breeze into action!